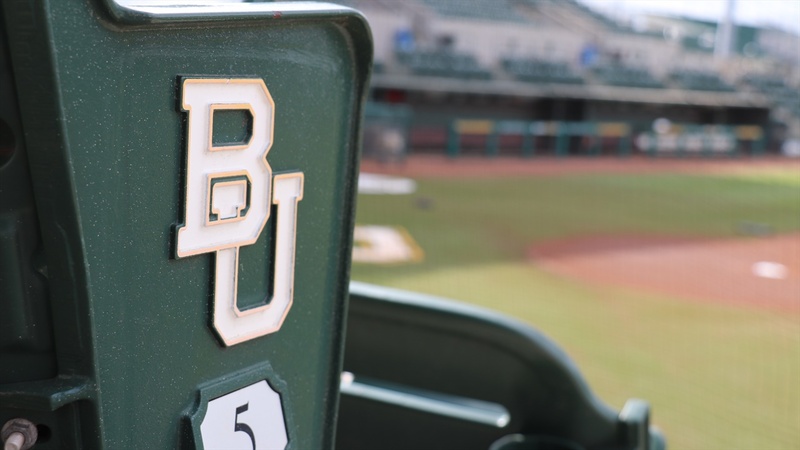 WACO, Texas – Baylor baseball’s Cory Bradford and soccer’s Aline De Lima earned BU’s nominations for consideration as Big 12 Athlete of the Year honorees, announced Monday by the conference office. 2017-18 Big 12 Athlete of the Year candidates from each of the respective conference campuses will be highlighted each weekday through July 20. Fans will then be able to vote for their male and female choices from July 20-23 on Big12Sports.com. Fan voting will be considered in the final tally for selecting this prestigious award. Bradford is the first Bear to earn Big 12 Pitcher of the Year honors after a stellar sophomore campaign. The lefty helped the Bears win the Big 12 Championship title for the first time in program history and was named 2018 Big 12 Championship Co-Most Outstanding Player. The Aledo, Texas, native set a new program mark with an impressive 1.88 ERA in conference play. He also was the first pitcher in Baylor history to throw back-to-back complete game shutouts. A three-time Big 12 Pitcher of the Week honoree, he also earned Third Team All-America honors from Collegiate Baseball. Bradford is also an outstanding student, earning a perfect 4.0 cumulative GPA as a Supply Chain Management major. He was selected to the CoSIDA Academic All-District 7 Team and is an Academic All-Big 12 First Team honoree. His lengthy list of academic honors also includes four-time Dean’s List and Big 12 Commissioner’s Honor Roll selections. De Lima led the soccer squad to the most successful postseason run in program history, advancing to the Elite 8 round of the NCAA Soccer Championship. She led the Bears to the 2017 Big 12 Soccer Championship title, earning the tournament’s Offensive Most Outstanding Player honors. The Belo Horizonte, Brazil, native collected a bevy of accolades, including United Soccer Coaches All-America second team and All-Big 12 first team selections. After her remarkable senior campaign, De Lima was named to the full Brazilian Women’s National Team, leading her country to the 2018 Copa America Femenina title. The victory qualified Brazil for the 2019 Women’s World Cup and the Tokyo 2020 Olympic Games. De Lima excelled off the field as well, majoring in Integrated Studies with a 3.23 GPA, earning Academic All-Big 12 First Team honors.